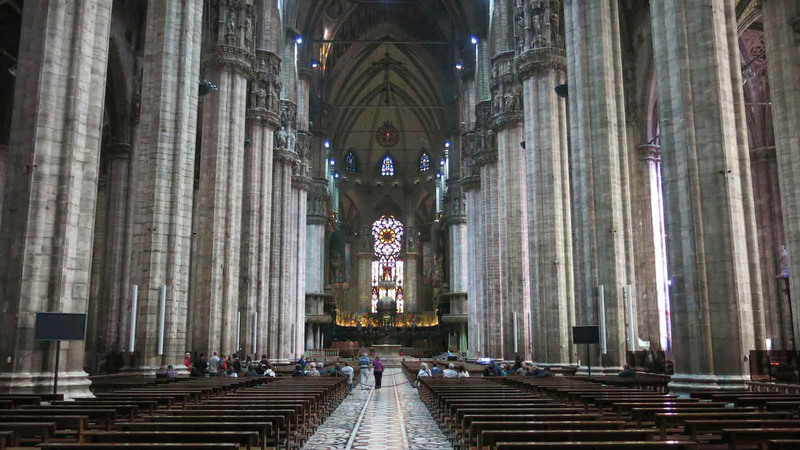 Enter Milan's Duomo with privileged access on a skip-the-line tour. Our English-speaking guide will share all the secrets, anecdotes and curiosities about this monument. Discover the most iconic symbol of Milan, the Duomo and marvel at its majesty. Skip the long lines and enjoy this 1 hour guided tour of the inside of the Cathedral and the crypt below its altar. Our professional English speaking guides will share with you their knowledge about art and history and tell you stories of ancient rituals, curiosities and anecdotes about this imposing monument. Meet your licensed tour guide in Piazza del Duomo and start visiting the impressive Gothic Cathedral. Inspect the endless details of its façade and admire the statues, the spires, the bizarre gargoyles and many other oddities. Skip the lines and enjoy priority access to the largest Italian cathedral and marvel at this imposing monument. Your tourist guide is ready to focus on the countless statues, the decorations, the colorful stained-glass windows that tireless craftsmen designed along the centuries and be amazed while hearing about the stories of the “Holy Nail” from Jesus’ True Cross or the Sundial Trail and its zodiac signs. Stroll along the aisles, reach the main altar and pay homage to the tomb of Saint Charles Borromeo, one of Milan Holy Patrons, host inside the crypt below. Still not tired? Feel free to extend at your pleasure the Milan Duomo discovery visiting the Duomo Museum using your included Free Pass (valid for three days). Skip-the-line admission ticket to the Duomo (inside). Headphones (if there are more than 5 people on tour). Piazza del Duomo, 4. Just outside the Benetton Store.